Bronchitis is the swelling of the air passages, inside the lungs. There are two types of Bronchitis; acute and chronic. Acute bronchitis is the inflammation of the large bronchi in the lungs. It usually occurs after a virus has invaded the upper respiratory tract. Chronic bronchitis is the persistent inflammation of the bronchi in the lungs. It is a mucous producing cough that can last for an extended period of time; months, not weeks. Inhaling aspirating food or vomit. Farmers Lung is an allergic condition, in which an individual inhales allergy causing dust. Note: This is just a list of some common conditions that could possibly cause Chronic Bronchitis. There are other possible causes for the development of Chronic Bronchitis. Symptoms of Acute Bronchitis can vary, however it usually starts off as a dry cough but within a period of time, can develop into a cough that produces thick mucus. This thick mucus is commonly yellow or greenish in color. Sore throat, tiredness, muscle aches, and mild fevers are also some other symptoms similar to that of a common cold. The severity of the symptoms associated with Chronic Bronchitis truly varies between individuals, and the amount of damage done to the lungs. Some of the typical symptoms associated with Chronic Bronchitis include: shortness of breath, wheezing, spitting large amounts of thick mucus that can block airways, persistent coughing, and chest tightness. Other symptoms of Chronic Bronchitis could include: change of alertness, anxiety levels increase, dizziness, weakness, confusion, cyanosis (blue coloring of the skin) and paleness. Acute Bronchitis can be treated through antibiotics, cough medications, over- the counter painkillers, drinking lots of fluids, and the use of cool or warm moist- air humidifiers. Bronchodilators can also be used to open up the airways. Cough Medications such as Robitussin, Buckley’s syrup, or Vicks Vaporub are used to suppress cough. Ibuprofen, Aspirin, and Acetaminophen are used to help with fever and muscle aches. Chronic Bronchitis can be treated through corticosteroids pills, anticholingeric medications, bronchodilators, drinking plenty of fluids, oxygen therapy, antibiotics, pulmonary rehabilitation, vaccines and the use of cool or warm moist-air humidifiers. 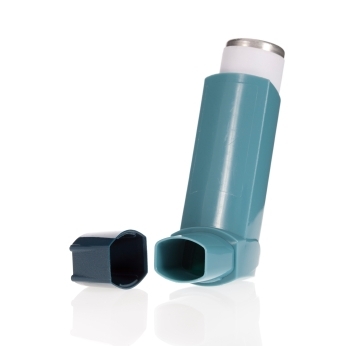 Bronchodilator Medications are prescribed to help relieve the symptoms of chronic bronchitis. It works by relaxing and opening the air passages in the lungs. Through Pulmonary Rehabilitation, individuals are provided with education, nutrition counseling, learning special breathing techniques, and help with quitting smoking and getting active. Those with Chronic Bronchitis become physically limited, but through physical activity, Chronic Bronchitis can be helped. Through oxygen therapy, help is offered to individuals to find different ways to breathe easily (Appliances etc).